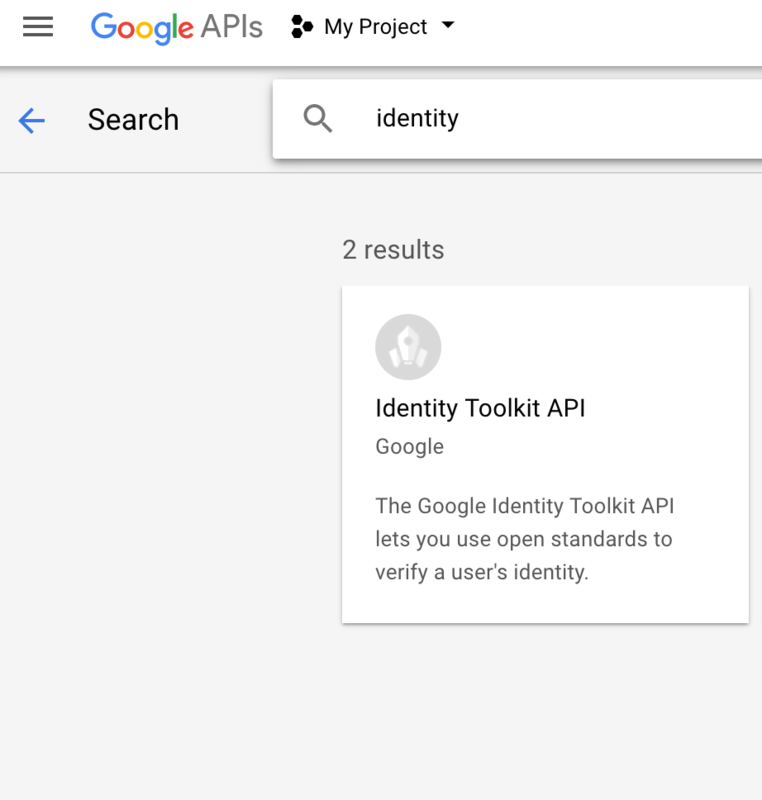 Navigate to https://developers.google.com/identity/sign-in/web/sign-in and click the "Configure a project" button. A new window will open which will guide you through the setup of a new project. 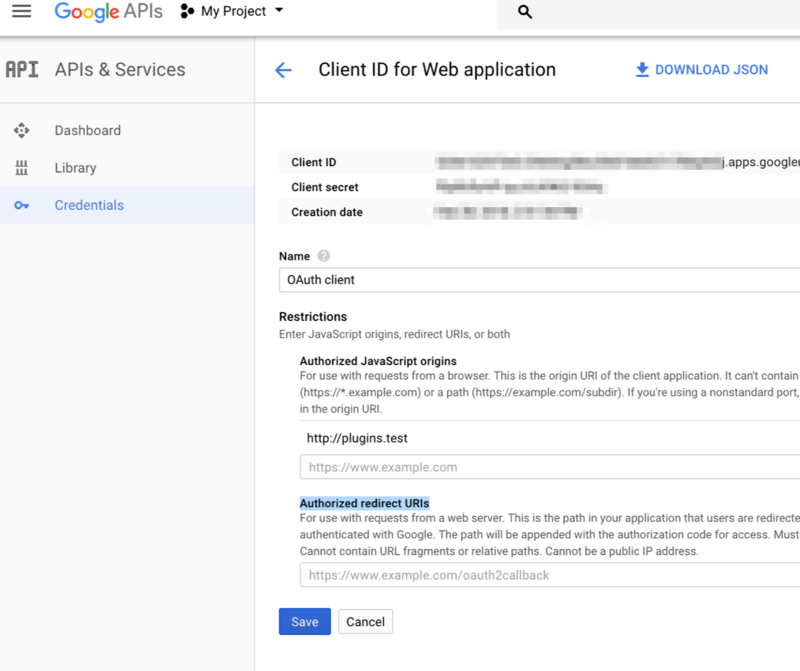 From the dropdown then click "Create a new project" and type the name of the project. After clicking next, you'll be presented with the above screen. Simply type anything in there and then click next. 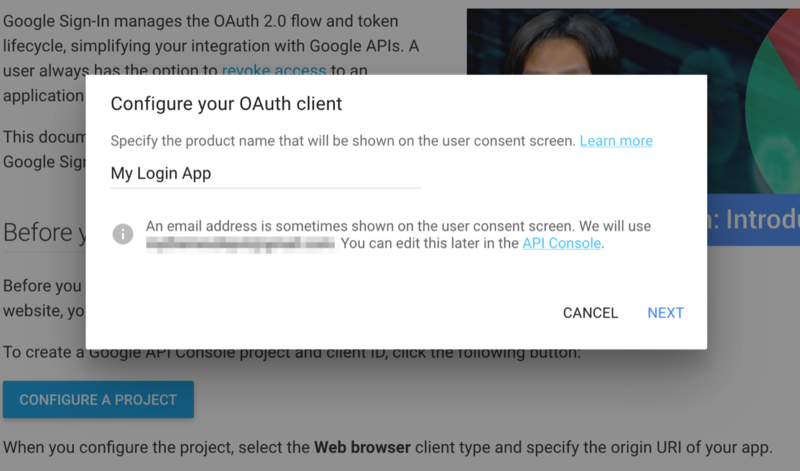 After clicking create you'll be given your credentials that you need to add into your WordPress website. 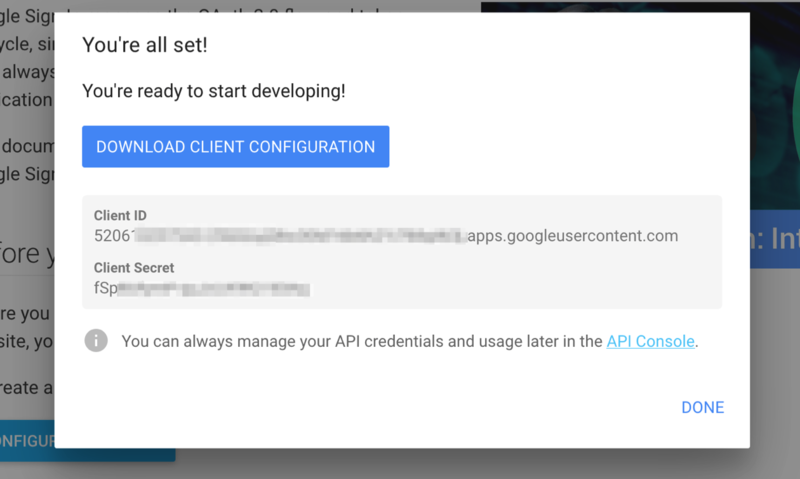 Do not click on "Done" yet. After you've got your credentials. 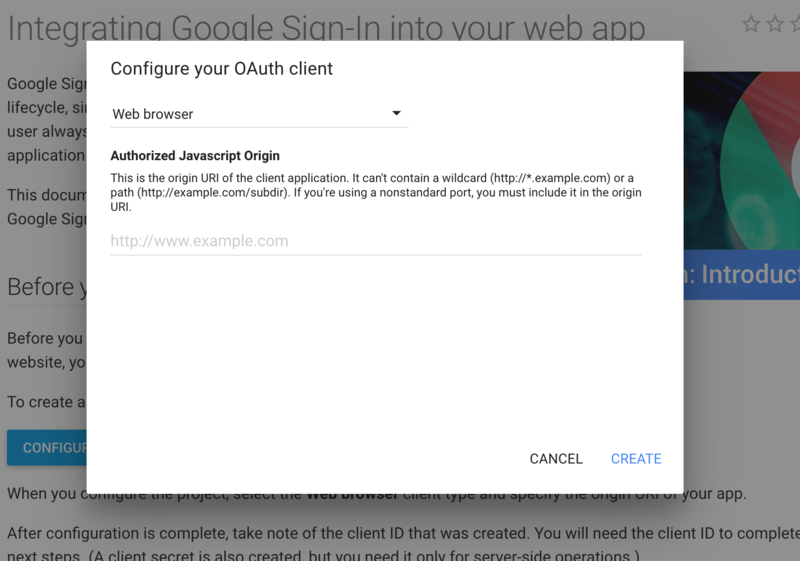 Login into your WordPress dashboard and navigate to "Users -> Settings -> General -> Social Login" and locate the settings "Google Client ID" and "Google Client Secret" and type in the credentials given to you by Google and save the settings. 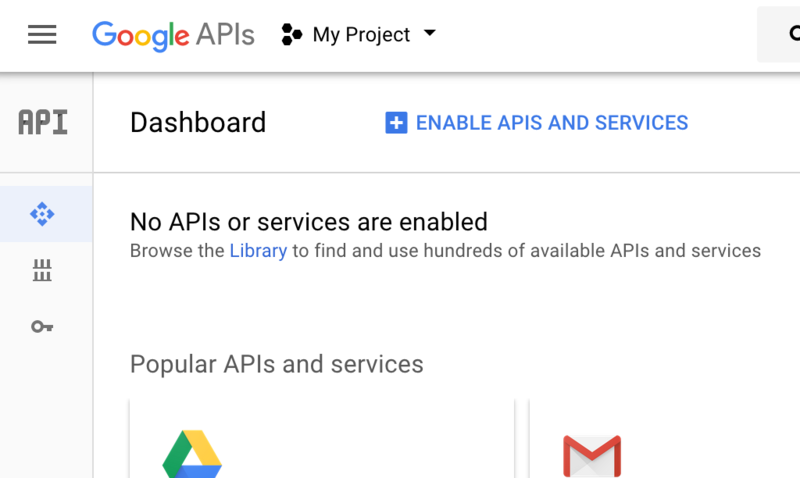 From the previous popup, click on the "API Console" link at the bottom of the popup, in the new page, click the "Enable apis and services" button. 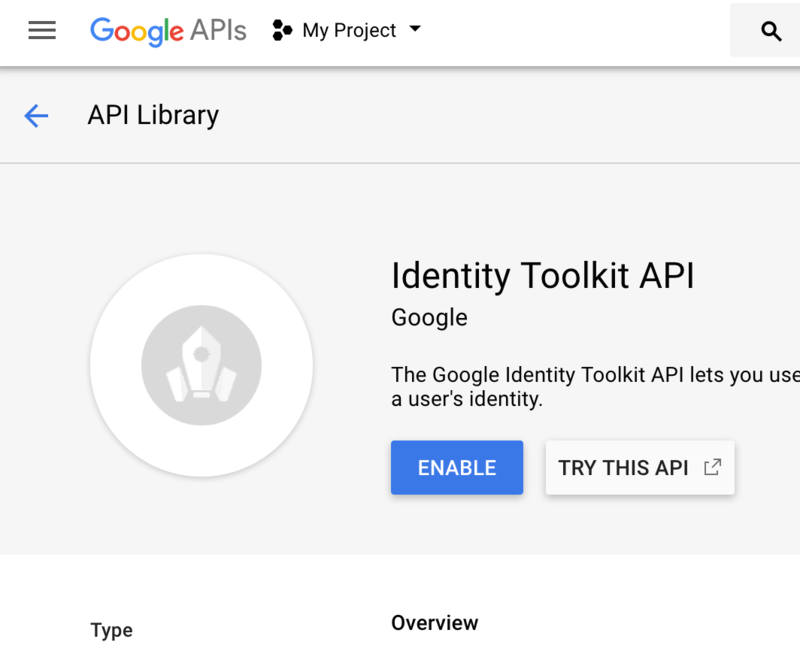 Search for "identity" and then click on "Identity toolkit API" and then click on "Enable".